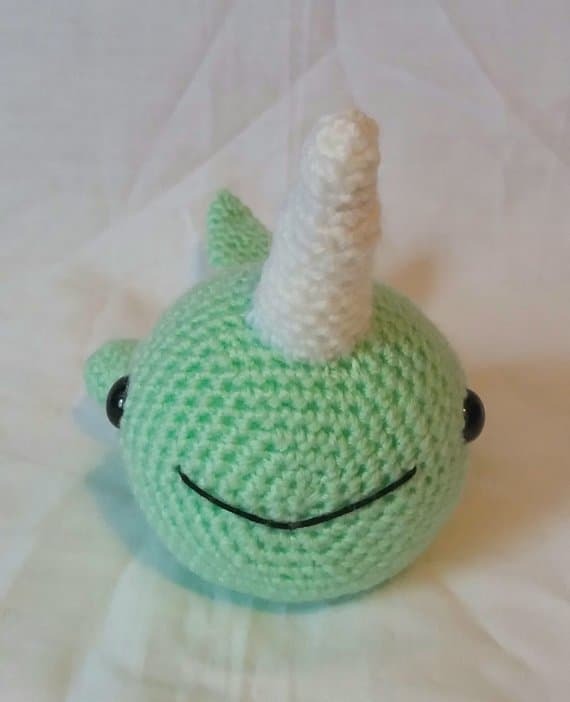 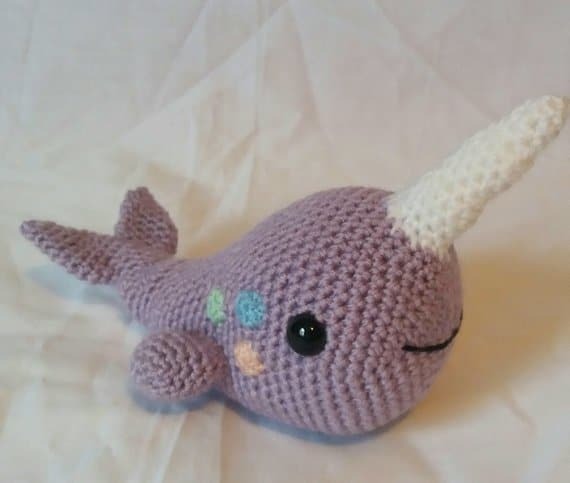 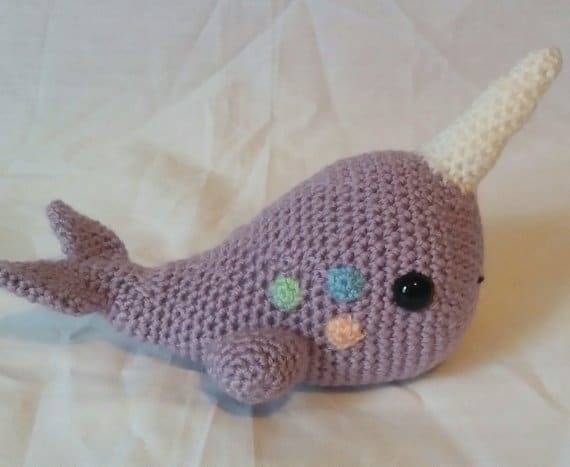 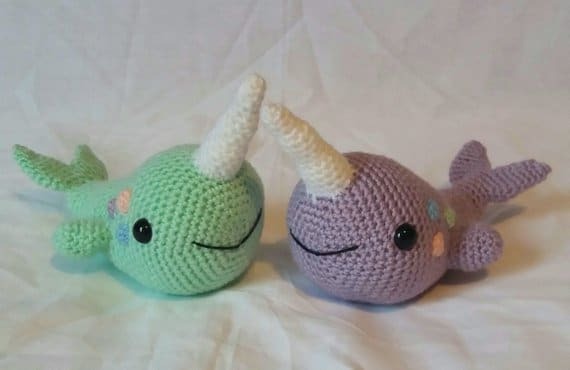 With her pastel colours and big horn, this little narwhal is certainly pretty! 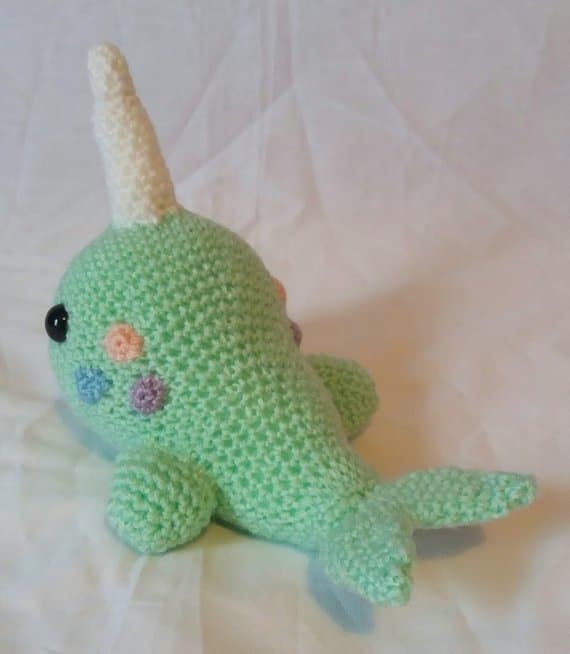 She’s the unicorn of the sea, and loves to cast magic for all her sea creature friends. 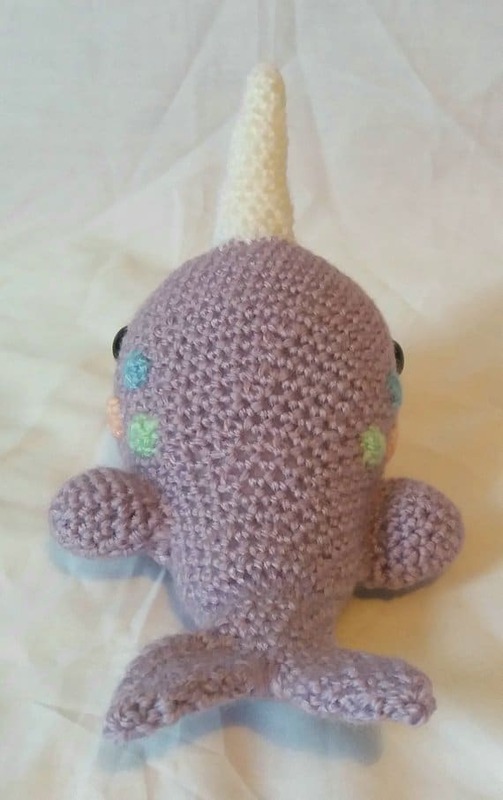 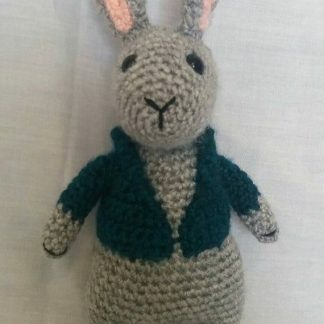 Made in DK acrylic yarn throughout, she has three little coloured spots on her cheeks, a long white horn and a big smile! 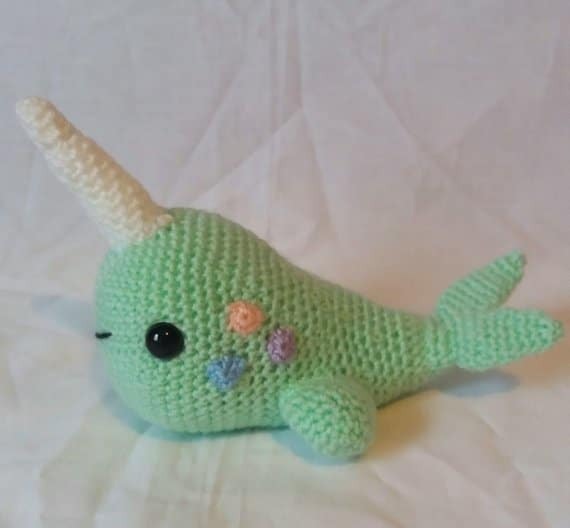 Measuring approx 16.5cm long and 10cm wide, this narwhal is the perfect size to cuddle!